While adding more events to an already packed calendar year in technology can seem to be a tricky proposition, it takes differentiation and careful curation for any new happening to truly stand out — and this is why we worked with the diligent team at SmarTech Markets Publishing to put on this week’s Additive Manufacturing Strategies summit. The inaugural event for this hopefully long-lived new endeavor, the AMS summit held in Washington, D.C. focused on the future of 3D printing in medical and dental industries through a lens of legal strategy. The agenda was filled with experts in medicine, dentistry, intellectual property, and government regulation, and for two days more than 80 attendees packed the Army and Navy Club to hear and share ideas. He noted that day one of the event was “of course a very unusual day in Washington,” as it was the Monday of the federal government’s shutdown; still, protocols in place did allow for a scheduled representative from the US FDA to be present to discuss the recently issued federal guidance regarding 3D printed medical devices, which is impacting the business of additive manufacturing. Gasman continued, noting that, “We wanted to crowd in as much medical 3D printing as we could.” Also speaking in welcome at the kickoff were Alan Meckler, President of 3DR Holdings, and myself on behalf of 3DPrint.com and our editorial staff. Keynotes: Lee Dockstader of HP Inc. Precise, personalized care is the promise for bringing advanced technologies into the healthcare arena, and the many examples showcased across the two days served as indicators of not only what has emerged already — such as the very-well defined use of 3D printing in the production of orthodontic aligners and of hearing aids — but ideas of what will hit the market in both the near term and in a longer-term future. In addition to the keynotes, we heard from SmarTech analysts for market projections and from several expert panels across a variety of topics, from prosthetics to intellectual property to bioprinting to dentistry. Hailing from hospitals, from academia, and from the companies actively developing these capabilities, as well as from legal backgrounds, the speakers throughout the agenda were optimistic about the place of additive manufacturing in the future of human care without veering into the wilderness of postulation. Each future advance was well grounded in a world of established capabilities, and far-off advances — most notably the potential of bioprinting entire human organs for implantation — were viewed through a lens of careful consideration and the necessity for step-by-step approaches. We’ll have more detail soon from the thoughtful content of the summit, as well as exclusive interviews with representatives from the FDA and a leading law firm focusing on IP in 3D printing. Events such as the Additive Manufacturing Strategies summit serve as a gathering place for not only the like-minded, but the informed in deep matters of both technology and policy, providing an invaluable experience. 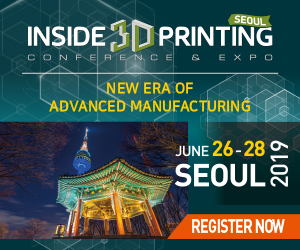 Following the success of this first event, we look forward to welcoming more in thought leadership and networking opportunity at Additive Manufacturing Strategies events. Discuss events and other 3D printing topics at 3DPrintBoard.com, or share your comments below.